The writing group I belong to is going to run a mini NaNo this year. I was trying to come up with a few tips for people who have never done it before. These would also apply to anyone doing full NaNo or just writing in general. Are you thinking about participating, but are a little scared of the thought? It is a lot to commit to in such a short period of time. With a mini version that task is less daunting. You set your goal. Take the time to think about what you believe you can commit to time-wise, make a rough guess at what you normally can do in that time, and stretch yourself a bit. Maybe add 5-10% to your estimated word count. If you think you can do 20,000, stretch it to 22,000. This is supposed to be a challenge after all. Here are a few tips to get you going. Try to prepare in advance. Even if you’re a pantser like me, try to come up with some sort of outline so you aren’t staring into space trying to figure out where to start. That’s my biggest challenge. Keep in mind you don’t have to write just one story. It can be a collection of short stories or poems. Maybe write a chunk of your novel. Do whatever you feel moved to do and if you can come up with a general idea of the flow before you start, you have a much better chance at meeting your goal. Don’t stop writing to do edits. The goal is NOT to end up with a ready-to-publish piece of work at the end of the month. The goal is to get the words on the paper. Don’t re-read what you’ve written. Don’t run spell check every 5 minutes. Just write. I realize it’s difficult for some people not to edit as they go, but that just slows you down. Two phrases come to mind. (1) Bum in chair: you need to commit to write every day if possible. If you miss your daily word count, then you have to write twice as much the next day, and the daily count goes up every day you don’t write. (2) Puke on the Page: you must get the words on paper (or computer screen). If you don’t then you won’t accomplish what you set out to do. They don’t have to be good, they just have to exist. Remember, once December arrives you can edit to your hearts content. Flesh out your characters. Set your scenes. Do whatever you need to polish your work (or complete it if you started a novel). November is the time for getting the words out. You have 11 more months to make it shine. 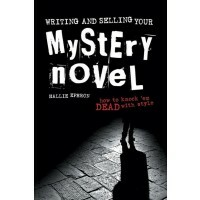 Almost finished reading Writing and Selling Your Mystery Novel, by Hallie Ephron. Wonderful resource regardless of the genre you write in. Yes, some chapters are mostly for mysteries, but a very large portion of the book is general. There are chapters on POV, story line, editing, planning, revising, and selling. Each chapter starts with a quote from a famous author and there are lots of examples pulled from works of fiction. She talks about how to end one chapter and start the next. Do you use a cliff hanger or not? She covers that. Hallie also goes over characters, from naming them to analyzing them and how to portray them on paper. Each chapter has exercises you can do or not. Your choice. At the back is an appendix listing organizations, mystery conferences, contests, guidebooks, and more. This is one of the sections geared for the mystery writer. Regardless of the genre you prefer to write in, if you are looking for a book with good information and an easy read, check this one out. It’s currently on sale on the Writer’s Digest Shop at http://www.writersdigestshop.com/writing-and-selling-your-mystery-novel-paperback. Last week I used a beta reader for the first time. Based on internet research, I was under the impression that beta’s were either free or very reasonable. Maybe $20 or a free copy of the book once published. Something along those lines. Beta buyer beware. I posted on Goodreads looking for a beta. Someone contacted me. Since he indicated he is a freelance writer and editor, I emailed back asking if he was volunteering to beta read or offering his services. (Volunteer: a person who freely offers to take part in an enterprise or undertake a task. ) He said beta read, then quoted a cost which I wrongly assumed was his normal editing fee. (50 cents per 300 words). So, my search for a volunteer beta reader, with the current exchange rate, will cost me about $87. What did I get for $87? About 6 comments in an email. Was it worth it? I’d say NO WAY JOSÉ. Huge mis-communication. He’s not trying to pull one over on me, it just wasn’t clear to me that I would be billed in the end. This has totally put me off ever looking for a beta reader again. Lesson learned? Make sure everything is spelled out down to the tiniest detail before you engage a beta. Ask every question imaginable, then ask a few more. Last year I finished up the Creative Writing Certificate online through the University of Calgary. The instructors were great. Looking at their other writing certificates, I realized that with only three more courses I could also get the Marketing and Public Relations certificate. I’m just working on the last one now. Glutton for punishment that I am, I discovered on Friday that the University of Toronto also has a Creative Writing Certificate that can mostly be done online. All, depending on the courses. While I totally enjoyed the U of C program, Toronto seems to have quite a few course options that Calgary doesn’t offer. I registered for one of the courses, starting in January 2016. Might actually take one earlier as I’ll be finished the current program in June. Some of the options I can pick from at Toronto include Comic and Graphic Novels, Dark Fantasy (possibility), Historical Fiction (have to take that one), Mystery and Suspense Writing (another on my list). While Calgary has a Novel course, which I took, Toronto also has an advanced level for the Novel. You can also take screenwriting, or playwriting, as well as writing for TV. As I said, the instructors at U of C are great, but it looks like U of T has so many more options to pick from. I think I will probably end up taking more than the required courses as there are just too many I’m interested in. They have a freelance program too. Another writers conference has come and gone. With the exception of the first one (don’t think I was writing then) I’ve been to them all. Once again Dorothea Helms was the emcee, and she was great – of course. The conference has workshops/lectures that you sign up for at registration. The line of up speakers was stupendous. I attended the workshops with Andrew Borkowski (Delicious Dialogue), Gwynn Scheltema (Does Size Matter? ), and Larry Krotz (The Story Telling Animal). I’ve attended workshops run by Gwynn before, and I’ve heard Andrew speak as well. Always a treat. Don’t recall if it was at one of his workshops at a past conference, or if he was just speaking. Other speakers this year included Sam Hiyate, who is an agent and also teaches at the University of Toronto. Terry Fallis – I’ve heard him speak before too. Always entertaining. Linden MacIntyre, co-host of the fifth estate turned author was a key note speaker and our dinner speaker was Paula Todd. She is the journalist who found Karla Homolka. And we can’t forget Wayson Choy, the honorary patron – author and teacher. All in all, a wonderful group of people. This year I saw several familiar faces in the crowd. Some I actually know, others I only recognized from other conferences. The place where they hold the conference is beautiful – Deer Creek Golf & Banquet Facility in Ajax. The grub ain’t bad either. 🙂 Yes, for the price of the conference you get a hot lunch, water and coffee during the day, and cookies and cake at afternoon break. Blue Heron Books had a table set up. They frequent the events that are put on by Writers’ Community of Durham Region, as well as the Writers’ Community of York Region (which I belong to). They can be seen quite often at local writing events. Next year’s conference is scheduled for April 30/May 1. The Friday evening before is the Festival of Authors. That’s something I have yet to attend. Mark your calendars if you are in the area. It’s a great place to network and hear from a great bunch of speakers. 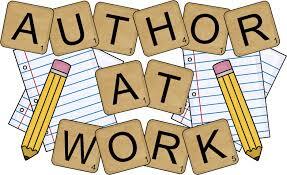 It’s about time to get back to writing and finish the second book in the Hodgins series. The second one has been started, so I need to get back into it. I have a bit of a timeline, but not a complete one. Since I’ll be off starting the 25th and not returning until the 30th, I think I might be able to find a minute or two to get working on it. In this one, a young girl is brutally murdered in her home. Driving in this morning I came up with a general plot for number three. It’s very, very vague. Book three will involve Hodgins older brother coming for a business trip and visit, and end up arrested for murder. That’s all I have for now, so like I said, very, very vague. I hope everyone has a very Merry Christmas (or whatever holiday you celebrate) and Happy New Year.